Osteoporosis is a disease of bone that leads to an increased risk of fracture. Multiple studies have shown that aerobics, weight bearing, and resistance exercises can all reduce the risk of Osteoporosis. Treadmill walking, gymnastic training, stepping, jumping, endurance, and strength exercises all result in significant improvement also. Achieving a higher peak bone mass through exercise and proper nutrition during adolescence is important for the prevention of osteoporosis. 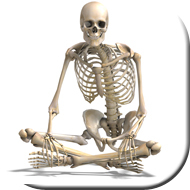 Exercise and nutrition throughout the rest of the life delays bone degeneration. Jogging, walking, or stair climbing at 70-90% of maximum effort three times per week can also increase bone density of the lumbar (lower) spine. Individuals already diagnosed with osteoporosis should discuss their exercise program with their physician to avoid fractures.